October 6th is a time of love, when romance is emphasized and its depth much greater than one might see at first. People born on this date are focused on togetherness and may become obsessive or jealous if their feelings aren’t valued and if they don’t find balance of giving and receiving needed to keep their love mature and free. They are in search for the right relationship with the Self, so they can create one with someone in the outer world and find the partner that suits their authentic needs. People born on October 6th tend to discover their love of the Earth itself, with all its products and material satisfactions in focus. They wish to make the best out of their Venus related nature, and make everything beautiful and light, for everyone to enjoy and find pleasure in. However, their fallen Sun is in focus here, and their tendency to give too much room to others to show initiative and make decisions for them could take a lot of their primal energy. What they create is supposed to match their inner world of beauty, and they shouldn’t be governed by others or approved by anyone they have an emotional connection with. It is their task to find the right authority to rely on within, so they can find the right partner to be with and surround themselves with actual beauty that fills their hearts with joy. This symbol perfectly depicts the inner state of Libras born on this date, as they are to nurture the childish side of their personality in order to reach the state of love and magic that they need in life. Although soap bubbles may burst, attached to something unrealistic, fragile and unstable, their beauty and the joy they bring gives all the answers that these individuals need. It is important that they nurture their child within, act in accordance with their playful needs, however unrealistic and unstable they might seem from an "adult" point of view, and enjoy life with its entire world of possibilities in the pace that suits their own heart. The purpose in lives of those born on the 6th of October is found in the essence of Uranus, of personal freedom and the liberation of the entire human kind. Their path in life is always meant to be a bit stressful and strange, as they are to conquer new directions and brake old patterns that keep people around them tied in same activities and choices for too long. 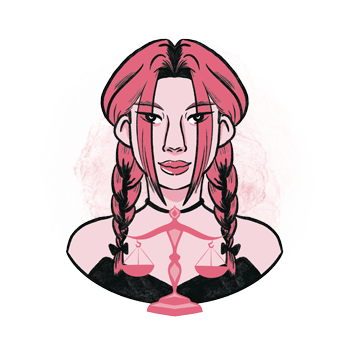 They are the ones to learn about the right individual pace to follow, and although they may seem incredibly changeable for a Libra, they will in fact only pick up the pace as they get to respect and love their real inner personality. Love life of individuals born on October 6th is intense and filled with commitments and desires that are often rough for their own heart. They will choose partners that teach them how to respect themselves and set their own boundaries, and they could end up in unstable relationships with people who don’t really understand their intention to be serious and adult about matters of romance and love. Depending on the stability of their primal home and the relationship of their parents, they could also turn to the other extreme of this equation and get incredible unstable themselves, feeling like Don Juans of modern society meant to spread love across the globe. Their task is to set free from any limiting beliefs about their own personality, and see the person standing in front of them for who they really are. As they build a positive and stable image of self that isn’t easily distorted by the way they are seen by another, they will find more ease in holding on to true qualities in their relationships and give real support to their own personality to develop next to someone they love. They need a partner who is open and sincere, so they can find true value in a relationship that is clear from the start. 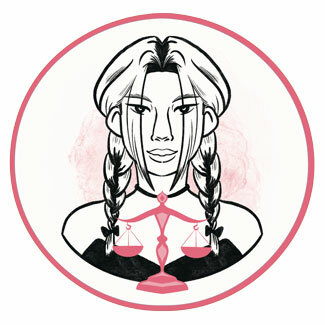 Libras born on the 6th of October excel in all forms of creative art, as well as caring for planet Earth. They may become ecologists, scientists or agriculture experts, as well as actors, dancers, and those who use their own beauty and talent to make this world a nicer place. With their purpose found in Uranus, very often they will change direction in life and take large professional turns when others least expect them to, this leading to special success in freelance activities and modern new solutions in businesses that need to grow and change. If you are to choose the right healing crystal for those born on October 6th, it is good to go with a Picasso marble. It is a stone that stimulates creativity and one's artistic gifts, while making adapting to change easier. It will give one the memory of important past life relationships and attract people with similar interests and outlook on life, so their self-esteem can find a basis in relating with those who understand their core of personality. It helps them become aware that even negative things may have a positive outcome in the long run. Birthday gifts for Libras born on the 6th of October should be creative and artistic, beautiful on the outside and easy to understand. They don’t need any more complicated things in life and perceive beauty through the simplest of pleasures and childish trinkets that will fill their heart with joy. Respect their changeable nature, even if they don’t see its vibrant energy just yet, and don’t get them any presents that will require their long-term commitment such as pets or plants. Although they love caring for beautiful things, they shouldn’t be tied by your choices in any way. Go with them on a trip to an Adventureland, a course in creative cooking or painting, or take them to dance lessons they always wanted to try out. Beautiful on the inside, creative and caring, beneath the surface they are children excited for life who inspire others to love and lift their spirits high, living free and in tune with the rhythm of the Earth. Stuck in other people's opinions, dependent and high maintenance, if they lose their Self along the way, they start judging others for inconsistencies that are really their own. In 1963 Elisabeth Shue was born, an American actress known for her roles in Cocktail, The Saint and Hollow Man. She put her career on hold for several times, for motherhood, family and her return to Harvard University to successfully complete here political science degree. She has been an avid tennis player since the age of 37 and plays at pro-level and celebrity tournaments. In 1973 Ioan Gruffudd was born, a Welsh actor that came to public attention as Fifth Officer in the movie Titanic. In his teens, he was an accomplished oboist and won prizes for his high baritone singing. In 1974 Jeremy Sisto was born, an American actor and screenwriter, the star of the sitcom Suburgatory and known for his portrayal of Shane Mungitt in Take Me Out. At age 18 he got married in Vegas and although he separated two days later from his wife, they remained legally married for almost 9 years. 1600 – The premiere of the earliest surviving opera, Euridice. 1884 – The founding of the Naval War College of the United States. 1898 – The founding of Phi Mu Alpha Sinfonia, the largest American music fraternity. 1995 – Discovery of the first planet orbiting another sun. 2007 – The first human-powered circumnavigation of the Earth is completed by Jason Lewis (born on September 13th). 2010 – The founding of Instagram.